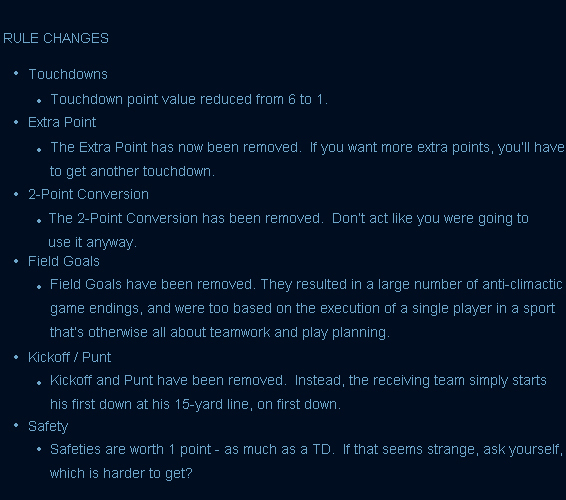 Hey guys, I thought I’d just release my patch notes for American football – the sport. Of course, I don’t have the power to actually enforce these new rules, but if I did, you could expect football to be vastly more awesome and exciting next season. Without further ado, here’s my changes! Hope you liked my new rules!